As the new Tata Bolt all set to take center-stage and to make it big in the B-Class hatchback space, Tata Motors has decided to stop the production of the Vista hatchback. The move only seems legit as the Bolt is an upgraded, better looking and well equipped product as compared to the present Vista. Tata however has stopped the production of the Vista BSIV diesel model that was powered by the 1.3-litre Quadrajet engine (MultiJet from Fiat) producing around 75 PS of power, and will continue to produce the Vista with the TDI engine in the base LS variant for sometime before superannuating the Vista completely next year. Along with discontinuing the Vista, Tata Motors will stop providing the spare bulb kit with the Vista and Manza models at the time of delivery further onwards, as part of a cost cutting strategy. The Indian car maker has been realigning its strategies and managing its expenses in a bid to resurrect its market share and stop losses. The company has heavily invested on the Bolt and Zest cars that are one of the first of the many new launches expected from the company in the near future. 1.3-litre Quadrajet diesel produces 75 PS and 190 Nm of torque. Both the engines will be mated to a 5-speed manual, while the diesel variant will also get an AMT gearbox making it the cheapest diesel automatic in the country. Tata Motors is planning to rival the segment leader, Maruti Swift that starts at Rs. 4.4 lakhs. 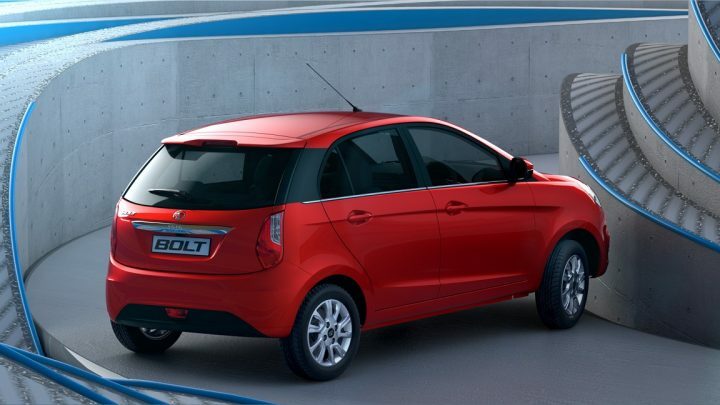 The base variant of the Bolt with the Revotron motor is expected to be priced around Rs. 4.2 lakhs (ex-showroom) when launched. The Vista LS TDI is priced at Rs. 4.78 lakhs (ex-showroom). We will keep you posted with further developments, until then do let us know what you think of the Vista and the Bolt!